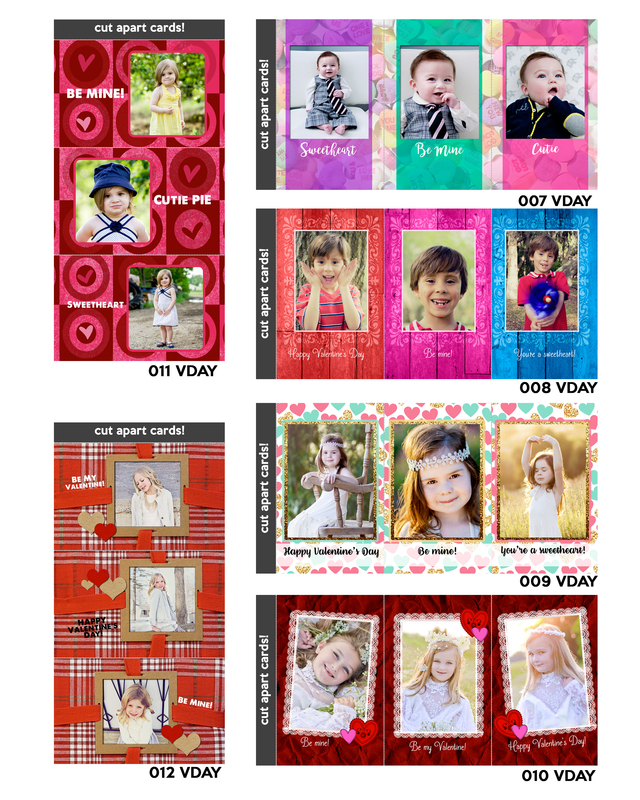 Holiday cards! 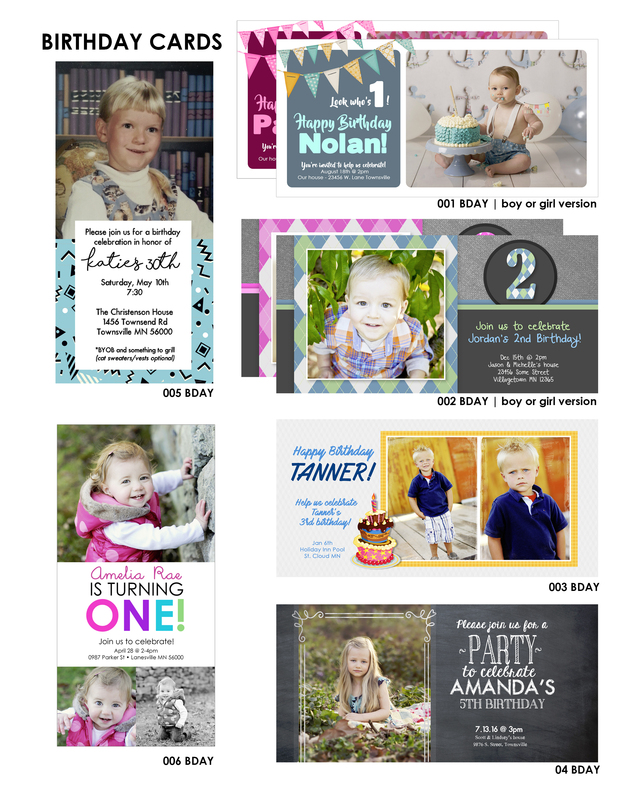 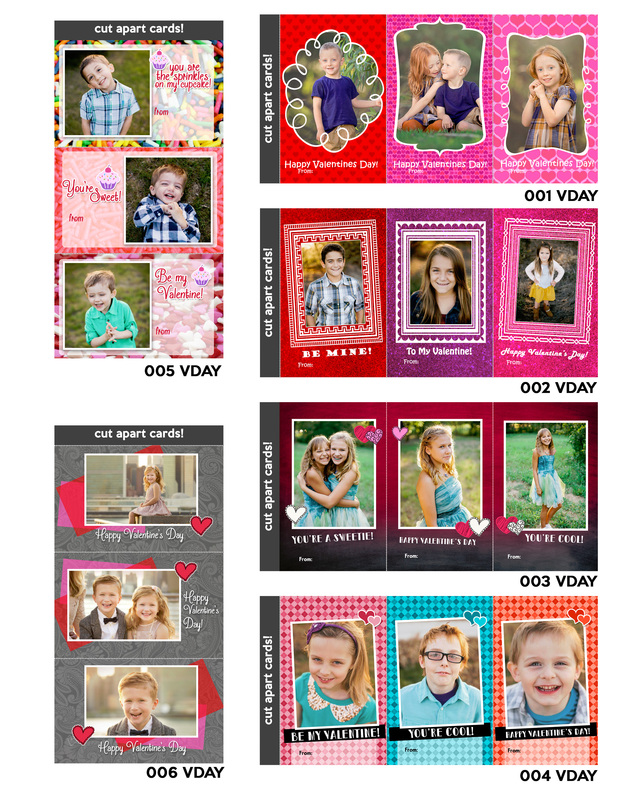 The perfect custom cards for Valentines, Easter, Halloween to birth announcements & birthday cards. 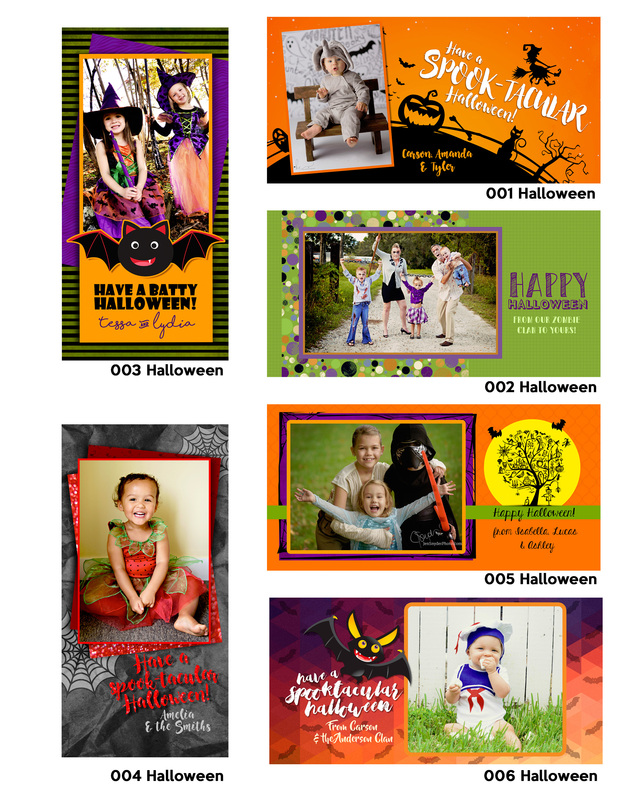 Choose from our book of designs, or have a custom design created specially for you! 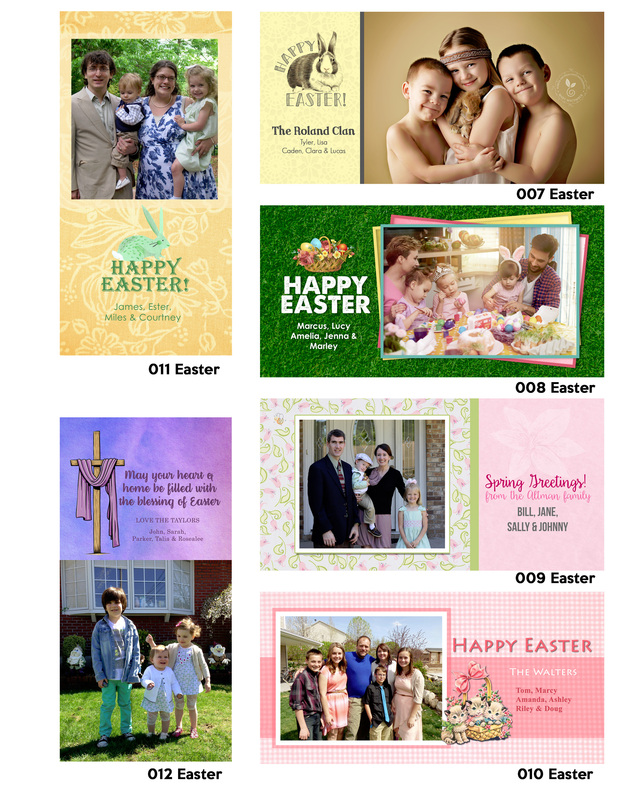 Have any questions about the various holiday cards? 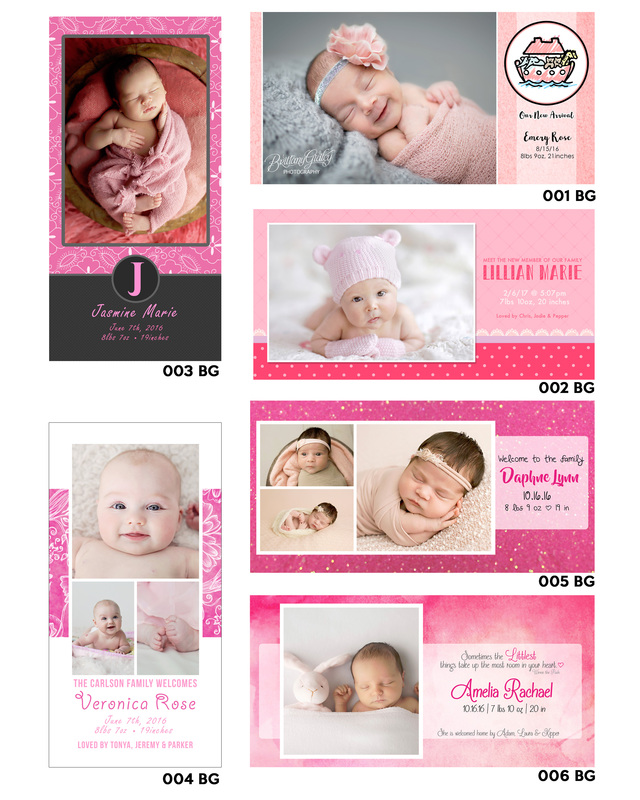 Give us a call at 320-258-5557 or email us at sccp@stcloudcameraandphoto.com and we would be more than happy to answer any question you might have! 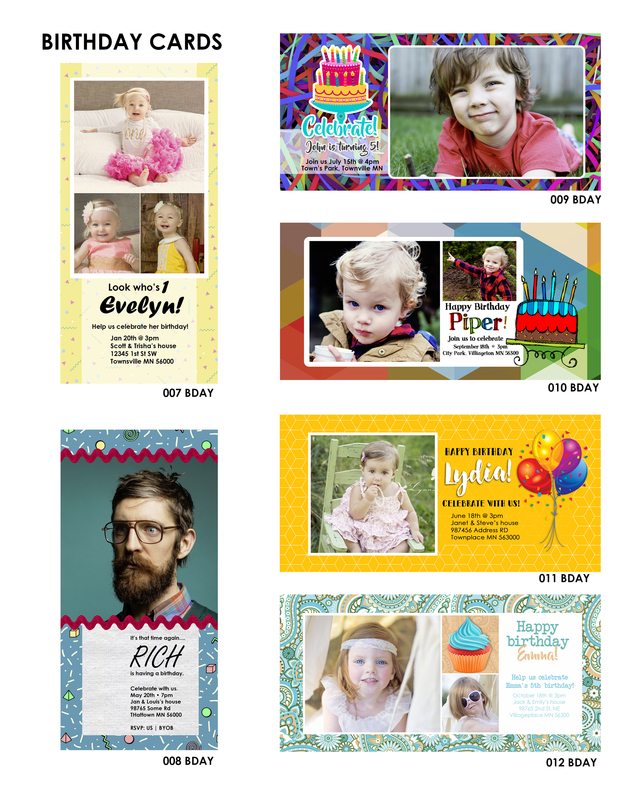 • Standard designed cards - no setup fee! 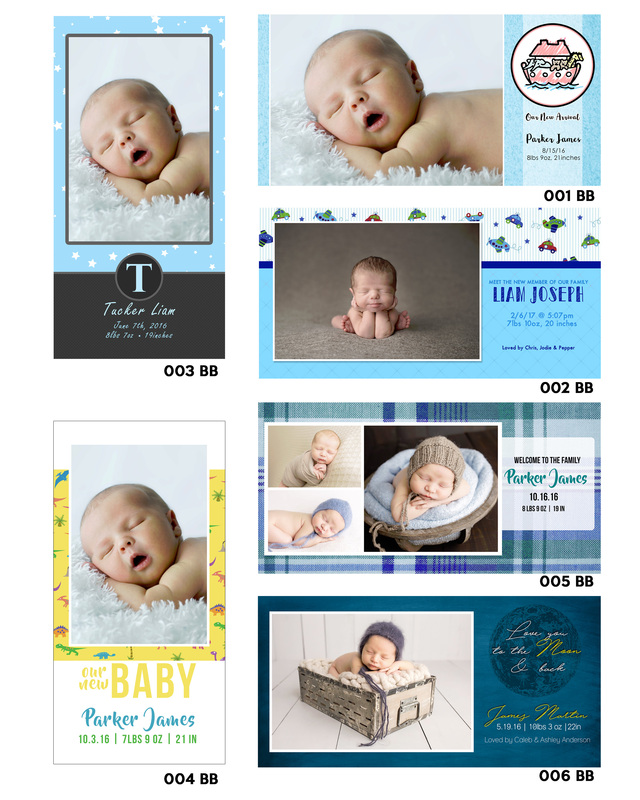 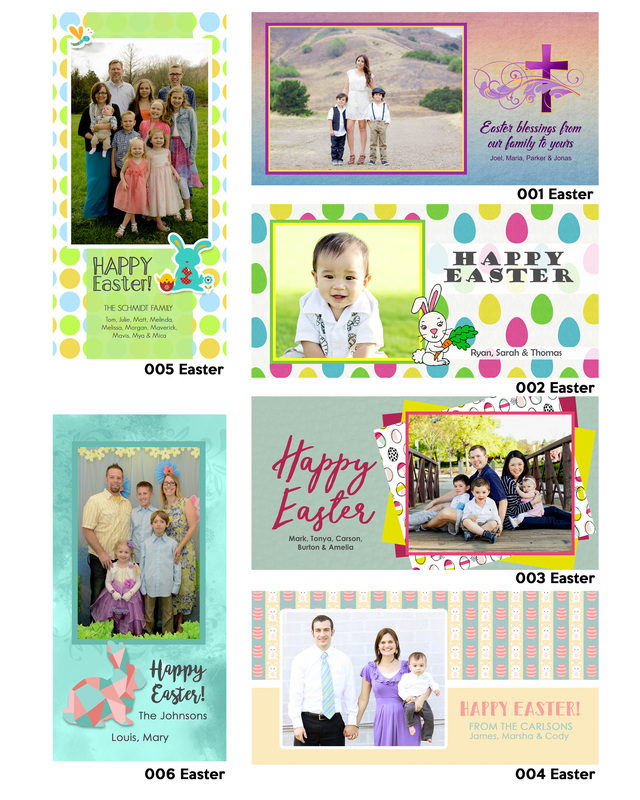 **custom design fees include designing the cards, placing the photos into the design, adding your desired information onto the cards & sending you a proof of the design for approval.